Florence and Chianti in Tuscany: <br>A Cultural & Culinary Adventure <br>September 6 - 17, 2017 | Pack A Fork! Join Pack A Fork! and discover Tuscany during fall – one of the best seasons to visit! From Florence through the Chianti region to Siena, we will take in the best of the season for prized truffles, olive oil, Chianti red and white wines, balsamic vinegars, meats, cheeses, honey and more! 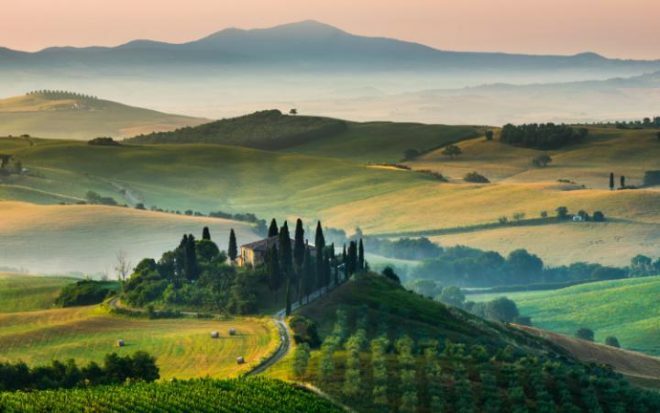 Experience the rich culture and lifestyle of this region in central Tuscany Immerse yourself in the culture, its people, the unforgettable landscape, and the foods and Chianti Classico wines! Hunt for the truffles with a tartufaio/truffle hunter and his dog in the forest outside San Miniato; learn about the legends, the history and the kinds of truffles grown in the region from our 3rd generation truffle hunter! Two guides who will travel with us and are experts on foods, wine, art, history, architecture and more!